Graffiti is a form of vandalism that can cost business owners dearly. Not only is there the cost of removal to take into consideration, but also the fact that the offensive words and images often contained in graffiti will likely discourage customers and clientele and may leave them feeling less secure. That’s why you need to act immediately as soon as you notice graffiti on your premises and why you should consider professional graffiti removal business, available in Melbourne through Graffiti Wipeout. You can define Graffiti as being the end process of defacing any property, either public or private, and it includes any markings made without the property owner’s permission. While some graffiti, sometimes referred to as ‘tagging,' may be small and simple to clean up, other forms can cover entire walls and require special removal treatments. 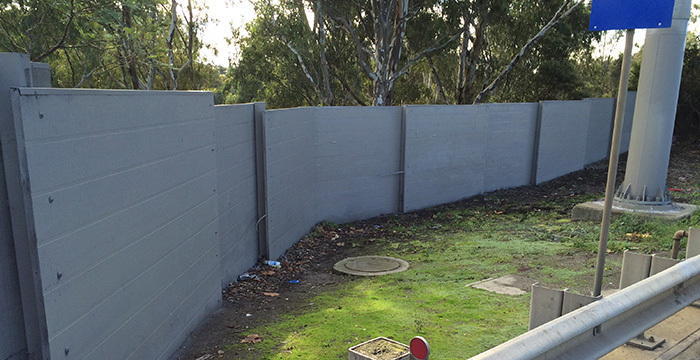 In either case, it is vital to seek graffiti removal for your Melbourne business to prevent unsightly and offensive forms of vandalism from hurting your bottom line. 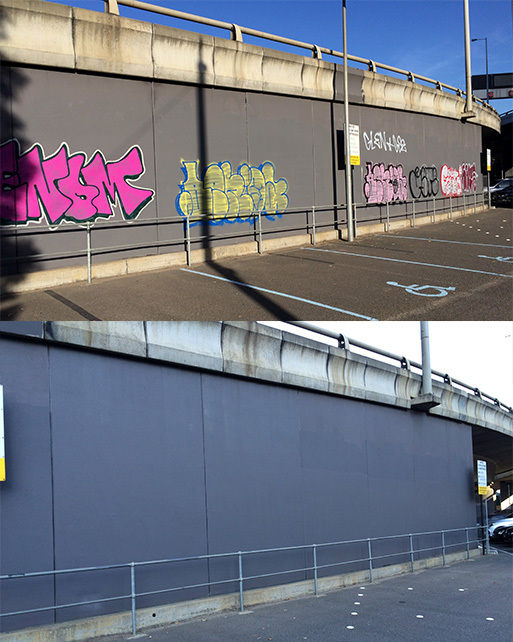 Since 1992, Graffiti Wipeout has provided premier graffiti removal in Melbourne trusted by businesses and government agencies alike. We have evolved into one of Australia’s premier graffiti solution teams, thanks to our quality cleaning and protective services. Has your property recently fallen victim to graffiti? Are you concerned that a spike in graffiti in your area means that your property could be next? 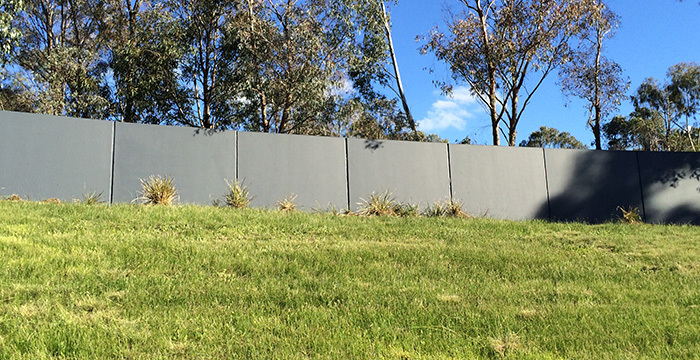 Or would you simply like to be prepared for the future and help your property to be resilient against graffiti? You’ll be looking for a graffiti cleaning business. There is a wide range of options out there and as with making any type of decision it can be easy to get lost and spent hours trying to separate the good from the bad. We want to save you time and help you to make the best decision possible. This is why you should work with Graffiti Wipeout to address your needs. We were founded in 1992 and over the last 26 years, we have been delivering the absolute gold standard in quality to our wide range of customers across Australia. Across almost three decades we have worked on an ever-expanding portfolio of projects and our longevity is testament to the quality that we offer! Our team has grown in this time and people have joined and left our team but an emphasis on the customer has always defined our approach as a business. This is one of our unwavering values and we make sure that we apply it to each and every one of our projects. Graffiti attacks invoke the feeling of personal intrusion and vulnerability. 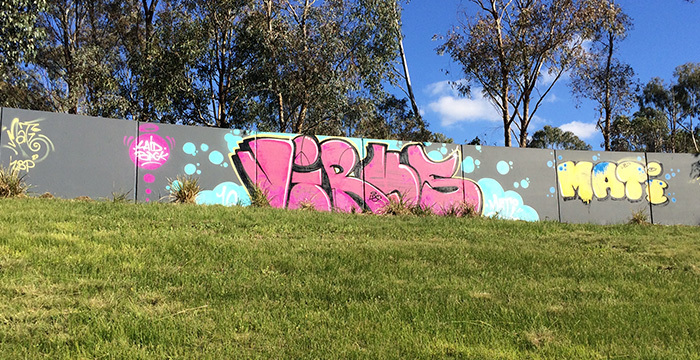 Finding a tag – the personal signature of a vandal – on your wall is very upsetting. Our team can help you reclaim what is yours. We understand that time is of the essence. That’s why our team respects our customers’ emphasis on timeliness and a fast turnaround time. To that end our vehicles have been fitted with GPS tracking devices – allowing us to direct the nearest vehicle to your site for quickest responses. 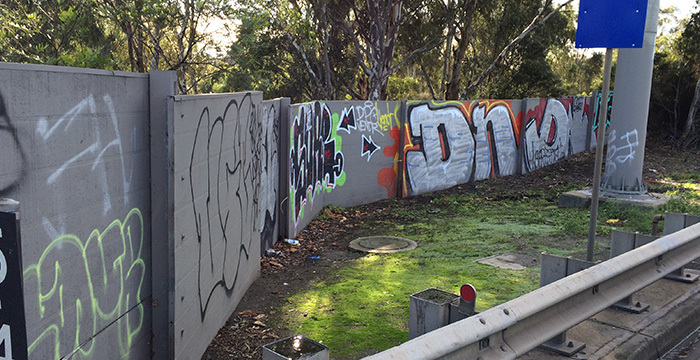 When it comes to graffiti cleaning Melbourne businesses have a wide range of options available to them. Those businesses might spend time balancing prices, looking at the specifics of the offer of each supplier or ask for recommendations from other contacts. These are all important steps to take but nothing reveals the true quality that a business can offer like the testimonies of its previous customers. In our 26 years we have forged incredibly close connections with a range of business and we invite you to ask us about those experiences. We can share a range of positive testimonials with you. Our helpful representatives love to speak with prospective customers and understand more about the project and their specific needs. We can provide you with the information that you need to get a full picture of how we will tackle your project. If you would like to discuss one of our services today or find out more about us, please feel free to visit our website and look around. We are available by a variety of contact methods so please feel free to use whichever suits you best and we will get back to you quickly!